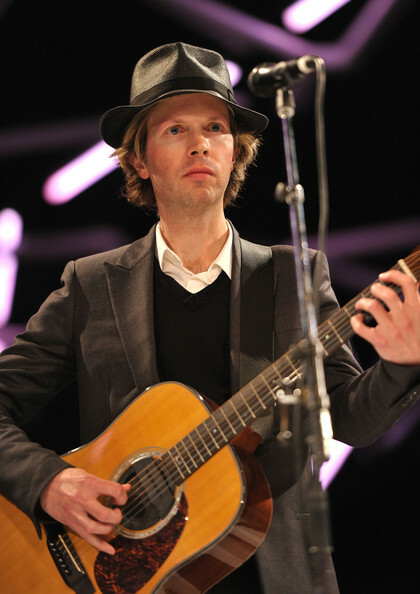 Beck played a charity gig, a benefit gala for the Museum of Contemporary Art in Los Angeles. Tickets were expensive ($5000 minimum) and presumably lots of money was raised. Tons of celebrities were there. Initially, Devendra Banhart sang his song "At The Hop." I believe that Beck was not involved with this first song, but I could be wrong. Then Beck came out and did "The Golden Age," while Devendra stayed and added electric guitar. 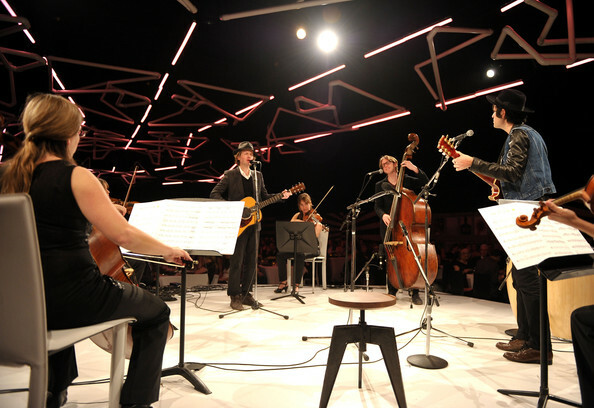 A string quartet and a bassist also played. After that song, Caetano Veloso joined them all and they did "Nine Out Of Ten" and "Maria Bethania" together. There was also a performance art piece by Doug Aitken. It was called "WE" and included drummers, auctioneers, and a guy with a whip. Beck apparently participated in it as well, but I'm not sure how.